The Official ScratchJr Book: Help Your Kids Learn to Code by Marina Umaschi Bers | Free eBooks Download - EBOOKEE! kids create their own playful animations, interactive stories, and dynamic games. 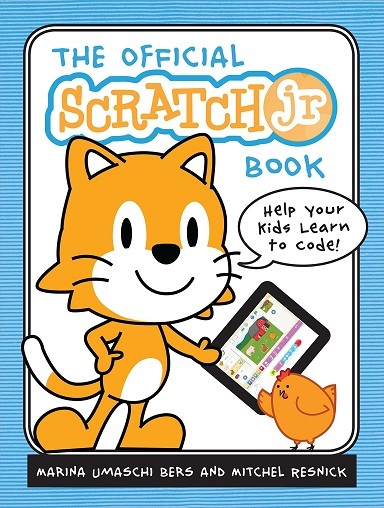 The Official ScratchJr Book is the perfect companion to this free app and makes coding easy and fun for all. Kids learn to program by connecting blocks of code to make characters move, jump, dance, and sing. Each chapter includes several activities that build on one another, culminating in a fun final project. These hands-on activities help kids develop computational-thinking, problem-solving, and design skills. By the end of the book, kids will be ready for all sorts of new programming adventures! 2017-04-06[PDF] What Every Parent Needs to Know about Standardized Tests: How to Understand the Tests and Help Your Kids Score High! 2011-02-25What Every Parent Needs to Know about Standardized Tests: How to Understand the Tests and Help Your Kids Score High! No comments for "The Official ScratchJr Book: Help Your Kids Learn to Code by Marina Umaschi Bers".